Richard has over 20 years in the night vision technology industry, including experience in the manufacturing of instrumentation and related components. 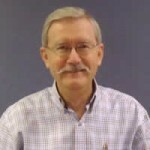 Richard has served as the President of REBTECH since 2007. He oversees the daily operations, sales and marketing of the company. Jeff has been an engineer in the NVG industry since 1988, and has been directly involved in the development of NVG White Filtering, and LED applications for NVG lighting. These, along with other innovative developments, are significant to REBTECH and its global reputation. 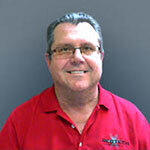 Jeff has served as Senior Vice President of Operations since 2006. He oversees R&D, engineering, certification and production for the company. 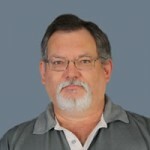 Jim brings with him over 40 years of aircraft instrument manufacturing and repair experience as well as a broad background in night vision lighting technology. In 1987, Jim was awarded the aerospace crew station lighting certification from the Aerospace Lighting Institute and he also holds a patent for aircraft instrument lighting design. In addition, Jim served as the NVIS lighting co-chair for the RTCA special committee SC-196 during the development of the DO-275 Operational Requirements for NVG implementation into the National Airspace System (NAS). Lynne holds Bachelor’s degrees in Business and Foreign Language from Southern Methodist University, in Dallas and an MBA in International Business from Texas Tech University in Lubbock. 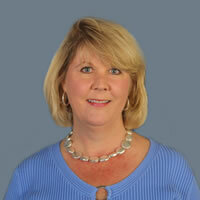 Prior to REBTECH, Lynne held various marketing management positions in the commercial real estate industry and in the medical supply industry. In addition to supporting the financial management for REB Technologies and its divisions, Lynne is responsible for human resources and government compliance with export regulations. Craig has over 28 years of extensive industry experience with specialties in sales and marketing, as well as a management background. 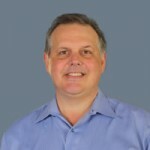 Prior to joining REBTECH in July 2015, Craig held several sales management positions at Bell Helicopter Textron and was responsible for several sales and marketing milestones with the company. Allison is a certified Six Sigma green belt.